I am going to show you a quick magic trick, Well, it isn’t a ”magic trick” so to say. But it is awesome in every way. Today I will teach you how to unsend a message on WhatsApp after it is delivered. Yup, you can actually delete WhatsApp messages sent. There are times we send a wrong text to our friends and we feel such text would ruin our relationship with them in some sort. And then again we tend to seek forgiveness because we sent the wrong message. Trust me, I have been in this situation and it wasn’t funny. Whatsapp has finally got our backs with the new feature that lets you delete WhatsApp message sent. 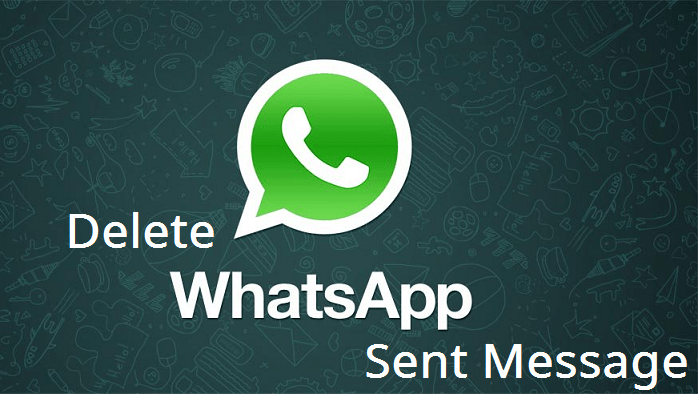 If you are looking for ways to delete WhatsApp message after sending or ways to delete WhatsApp message accidentally sent. Then be happy, because you are in the right place. The Facebook-owned messaging app has rolled out a feature that will finally let its 1 billion-plus users delete WhatsApp messages sent to anyone within a conversation. Some time ago, WhatsApps delete feature was quite useless. It could only remove messages from the eyes of the sender. That means whoever you sent the message to, can still read it. This was a mess really, A big one. And then came the WhatsApp Unsend Message feature. It gives the option to delete WhatsApp messages sent ”for everyone”, which rids it from the chats history entirely. When you delete WhatsApp message sent, Your friends will see a notification explaining the message has been ‘’recalled/removed”. The new WhatsApp unsend message feature just rolled out, so not everyone has it yet. In an age of constant digital regret, it is highly advantageous to be able to pull back that awkward 3 pm text that you sent to probably your Ex or a damning critique of workplace management accidentally sent to your boss. Here’s how to delete WhatsApp message sent. Open WhatsApp and go to the chat containing the message you want to delete. Tap and hold the message. You can tap more messages to delete multiple messages at once. Remember like I said before you can only delete messages you have sent within just seven minutes. WhatsApp unsend message feature is a feature that’s already available on Instagram, with direct messages having its own method of unsending a message. Fortunately, WhatsApp has cowed to user demand and is now rolling the feature out. WhatsApp has even updated its FAQ page to detail how it will work, ahead of the full rollout. “ deleting messages for everyone allows you to delete messages you have sent to either a group or an individual chat”. There are a few caveats or limitations. Firstly, you can only delete WhatsApp messages sent for up to seven (7) minutes after sending. Once that time window has lapsed, you will be stuck –so make up your mind quickly. Secondly, for this to work out, you will have to ensure you and your recipient(s) are using the latest version of WhatsApp, whether on Android, iPhone or windows phone. If they are not up to date, the feature won’t be supported. If your contacts are slow with updates, then this feature won’t work for you and you will be notified if deleting for everyone wasn’t successful. And of course, it is always entirely possible that the person(s) who you messaged will still see your message pop-up notification could scupper your plans entirely. It is expected that this new feature will become available to all users globally in the near future, so don’t worry if it is not available on your device just yet – it is definitely coming.